GLAAD, the world’s largest lesbian, gay, bisexual, transgender, and queer (LGBTQ) media advocacy organization, announced today that actor and performer Shangela will host the 30th Annual GLAAD Media Awards in New York, while CNN news anchor Anderson Cooper will present the Advocate For Change Award to previously announced honoree Madonna, on Saturday, May 4, 2019 at the New York Hilton Midtown. Emmy and Golden Globe Award-winning actress Rachel Brosnahan (“The Marvelous Mrs. Maisel”), model and activist Winnie Harlow, multiple Emmy and GLAAD Media Award-winning director and producer Ryan Murphy (“Pose”) will join previously announced special guests Samantha Bee (“Full Frontal”), CNN’s Don Lemon, and the cast of FX’s “Pose,” including 2017 GLAAD honoree Billy Porter. GLAAD previously announced that Sarah Jessica Parker will present the Vito Russo Award to Andy Cohen. For the first time, GLAAD’s New York awards ceremony will be broadcast on Logo on Sunday, May 12, 2019 at 8pm ET/PT. The 30th Annual GLAAD Media Awards are supported by Presenting Partners Delta Air Lines, Gilead, Hyundai, Ketel One Family-Made Vodka, and Wells Fargo. Actor and performer D.J. “Shangela” Pierce will host the event. Most recently, D.J. “Shangela” Pierce, brought the house down at GLAAD’s LA ceremony, where he performed a now viral Beyoncé tribute in front of honorees Beyoncé and JAY-Z. Shangela is best recognized as the only contestant to compete on three separate seasons of the Emmy-award winning reality series “RuPaul’s Drag Race” (seasons 2, 3 and All Stars 3). In 2018, Shangela starred in the critically acclaimed film “A Star Is Born” opposite Lady Gaga and Bradley Cooper and made headlines for walking the red carpet of the 91st Annual Academy Awards. Shangela recently completed a 184 plus city international tour, performing his comedy and cabaret act to sold out audiences. 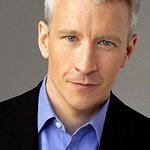 Anderson Cooper, anchor of CNN’s “Anderson Cooper 360°,” will present the Advocate for Change Award to Madonna. Madonna famously presented Cooper with GLAAD’s Vito Russo Award at the 24th Annual GLAAD Media Awards. The Advocate for Change Award was given once before and is presented to a LGBTQ ally who, through their work, changed the game for LGBTQ people around the world. 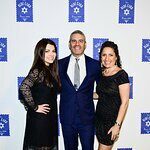 GLAAD previously announced that “Watch What Happens Live!” host Andy Cohen will receive this year’s Vito Russo Award, which is presented to an openly LGBTQ media professional who has made a significant difference in accelerating LGBTQ acceptance. The Award is named for Vito Russo, a founder of GLAAD and celebrated ACT UP activist, who pushed open the door for news and entertainment industries to include LGBTQ performers and stories. Actress Sarah Jessica Parker will present the honor to Cohen. GLAAD previously announced 151 nominees for the 30th Annual GLAAD Media Awards in 27 categories, including an inaugural category for Outstanding Video Game, along with Kids & Family Programming, Comedy and Drama Series, Documentary, Reality Series, Music Artist, Comic Book, print, broadcast, and online news, and five Spanish-language categories. Nominees included Love Simon, Crazy Rich Asians, The Favourite, Pose, Schitt’s Creek, The Handmaid’s Tale, Nanette, Janelle Monáe, Hayley Kiyoko, Troye Sivan, American Idol, She-Ra, Law & Order: SVU, Don Lemon, Stephen Colbert, Samantha Bee, Univision, MSNBC, Ebony, GQ, CNN, and The New York Times.